AI-powered drones soon will be everywhere, monitoring crowds at major events, checking out traffic patterns on busy roads, surveying disaster sites, and inspecting airplanes. IBM is edging into this airborne safety and maintenance market early, with a deal to bring its Watson internet of things technology to unmanned aircraft systems built by Netherlands-based Aerialtronics. Data captured by high-resolution drone camera lenses will be fed into IBM's visual recognition application programming interfaces (APIs) and services on its Watson cognitive computing and Bluemix cloud-based analytics platforms. 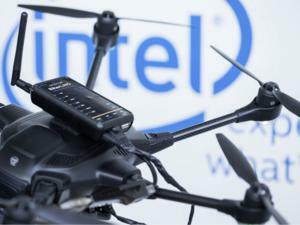 The first market for the Aerialtronics drones is expected to be for cell tower maintenance. Instead of sending humans to laboriously climb towers and report back, inspection teams can deploy drones, which quickly gain a 360-degree overview, according to IBM. The visual recognition APIs can then analyze the images captured by the drone to detect problems like damaged cabling or equipment defects. Watson IoT interacts with information and unstructured data input from devices and sensors to "learn" or analyze it for patterns, applying confidence ratings to its analysis to, for example, help inspectors decide when repairs should be done. IBM will bill Aerialtronics based on the volume of data fed into Watson. The Dutch company will be deploying the first commercial drones using the Watson IoT platform. The deal comes after IBM's recent announcements of agreements to get Watson IoT technology into, among other things, Nokia wearables; Whirlpool dryers; Bragi earphones; Local Vehicles' self-driving vehicle, Ollie; and Kone elevators. "This is a very important growth business for us -- we have 4,000 billing clients," said Harriet Green, general manager of Watson IoT, commerce, and education. "Some of those may be two dollars and forty cents or 'We're trialing this,' and some are much bigger engagements that you've heard us talking about, so it's right across the spectrum." IBM does not disclose Watson revenue figures, but it thinks the market for cognitive computing (its term for AI or machine learning) will be huge. The company has placed big bets on that belief and is trying hard to show that it's gaining momentum as a leader in the field. The company predicts that the cognitive computing market will be worth US$2 trillion by 2025. Last year, it formed the Watson IoT unit with a $3 billion investment commitment. It's also moved quickly to form partnerships in the IoT arena, announcing collaborations with AT&T and Cisco in just the last four months. "Even where you have as we do an IoT platform, applications, and a great history of digital transformation, no one company can completely own the ecosystem," Green said. There's been something of a "land grab" for partners in IoT, Green noted, and IBM is up against some big rivals: For example, two months ago General Electric said its Predix IoT platform would be available on Microsoft's Azure cloud. Meanwhile, there is a lot of R&D in the aerial AI arena and IBM will likely face a range of competitors. Already, DJI's Phantom 4 drone for hobbyists has sensors and software that allow it to follow humans and avoid obstacles. Drones with more sophisticated capabilities for industrial applications are bound to follow from a variety of companies. For Aerialtronics, cell tower inspection is just the first stage. The company says the combination of drones and Watson IoT can help companies gain actionable insights into almost anything, anywhere.